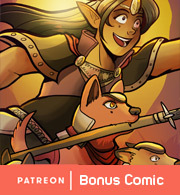 This week's bonus vote comic: Is there anything Sydney regrets doing before becoming a paladin? 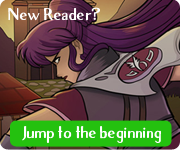 Patrons, don't forget that EARLY SOMBULUS PAGES are now a thing! Donate on my Patreon page to see them!